Think you have to choose between misaligned, crooked teeth or a mouthful of metal? Think again. The skilled team at Plaza Dental Group offers Invisalign® teeth alignment treatments at their office in Ventura, California. Get a perfect smile without the annoyance of braces. 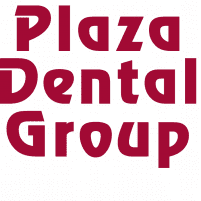 Book an appointment online, or call Plaza Dental Group today. Invisalign provides an attractive alternative to traditional orthodontic treatments like braces. It is a revolutionary new way to straighten teeth. Your teeth will be progressively aligned over time thanks to clear, plastic aligners that fit over your teeth. Comfort: The soft plastic won’t cut your mouth like sharp metal braces. Convenience: You can remove them quickly whenever you need to brush, floss, or eat. Timing: Consistent Invisalign treatments work up to 50% quicker than other orthodontic techniques. For major alignment and orthodontic issues, a different treatment may be recommended by your dentist. Book an appointment with Plaza Dental Group to find out if Invisalign is right for you. Your dentist will first examine your teeth to determine whether Invisalign is the best treatment method for you. They may take a physical impression of your teeth or use a digital scanning device to create 3D images. With these, your dentist will be able to form an individualized treatment plan that suits your specific needs. Next, your dentist fits your teeth with customized clear, plastic aligners. While you wear them, the aligners gradually push your teeth where they are supposed to go. As your teeth move, new aligners may be made to continue progress. At the end of this process, your smile will have its new shape! If you want to straighten your teeth without unsightly, painful braces, talk to your dentist about Invisalign by calling Plaza Dental Group or booking an appointment online today.